Something from reader Roger Caudron, which I am way late in posting…. Here’s a photo of Reddy in place in the ISU Design West Studio. 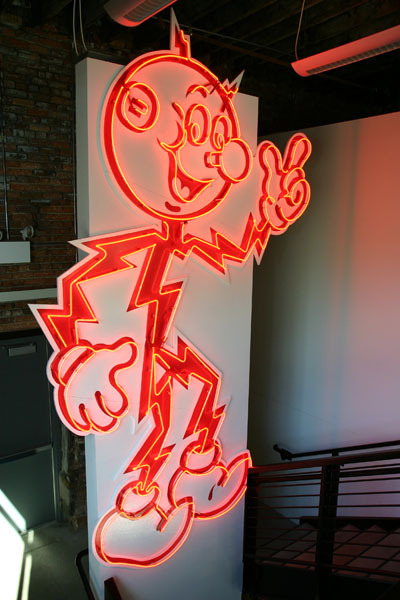 This photo is free for your use in promoting Reddy Kilowatt, your web site, www.reddykilowatt.org and his display in Downtown Sioux City. Here’s the article from the Sioux City Journal on the homecoming.